J.Crew never fail to amaze me. The label have this ability to tell a story through the way they style and shoot their lookbooks. You get a strong sense of the person wearing the clothes and the clothes become an extension of who they are. 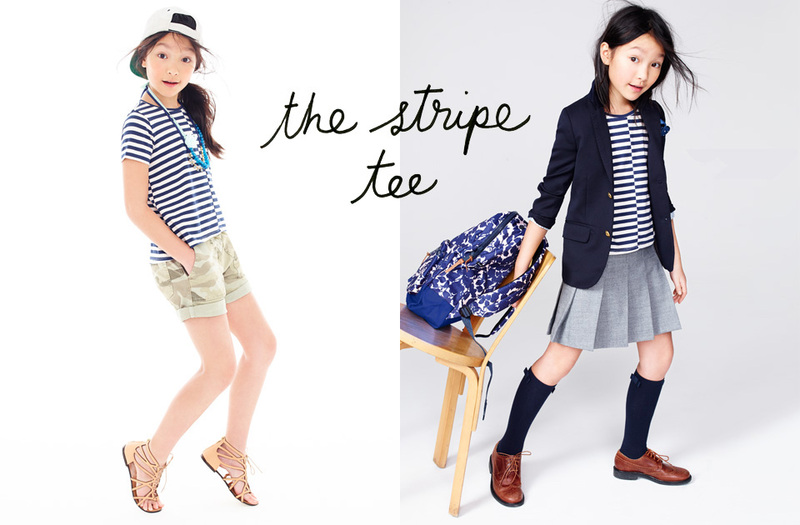 I have a soft spot for J.Crew’s kids shoots including their latest Spring/Summer 2014 collection. There’s always the right amount of childhood mischief, quirkiness and energy that breathes so much life into the pieces. They also always manage to throw in a pair of Jenna Lyons’ signature thick-rimmed specs onto at least one of the kids – like an ode to the Executive Creative Director’s own iconic personal style which has become an inherent part of the brand. Can I be a J.Crew kid too? Wear Now / Wear Later.